SYDNEY DANCE RHYTHMS ('SDR') have recently been approved as a Creative Kids Provider. 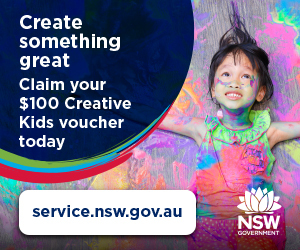 As a registered provider for the Creative Kids Program, you can redeem your voucher with us and create something great! You can use the $100 Creative Kids Voucher to cover part of the Dance tuition fees for your child.